Birding Is Fun! 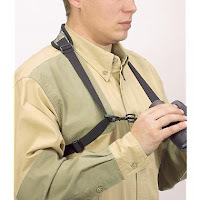 : What are the Best Birding Binoculars? What birding website would be complete without a discussion of the best birding optics? When I started to get serious about birding I went to KMart in Prescott, AZ and I spent $80 on a pair of Bushnell 15x50's. I thought, "the bigger the better." Boy was I wrong! With these binoculars I could see ducks a quarter mile away, but I couldn't hold the optics still enough to really see the details and the image seemed to shake. The other problem was that I couldn't focus on anything within 35 feet of where I was standing. After reading some articles from Birders World Magazine and from some other online experts, I quickly discovered that the ratio of power to the large lens is the most important aspect when it comes to choosing the size. For watching sporting events and especially for birding I recommend that people focus on binoculars that are 7x35's, 8x42's, or 10x42's at the max. These size binoculars will give you the right amount of light, the close-focus, and the wider field of view that aid in birdwatching. For the average person who enjoys watching birds at their feeder or maybe the occasional stroll in the outdoors to look at wildlife, cheap binoculars from any store will do. For those that want to really focus on birds and who regulary take birding focused outtings, you really need spend around $300 for a decent pair that have all the really cool coatings that transmit the colors and image more clearly. At this price range may I recommend Eagle Optics Ranger SRT's, Nikon Monarchs, or Audubon Equinox as great value binoculars that will make your birdwatching exponentially more enjoyable than the $60 pair from the local superstore. 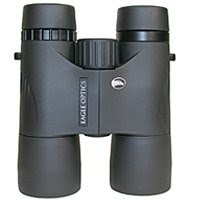 There are several higher-end, name-brand optics in the birding world. I've been able to try a couple out and they are really nice. They just don't seem so much more impressive than my Eagle Optics to justify the additional expense of $1000+. 1. Get the best optics you can afford. 2. Try them out first to make sure they feel good. They should be comfortable in your hand and and you want to be able to adjust the focus quickly. The next item is to use a shoulder harness rather than the neck strap. My folks got me a Cabella's shoulder harness a couple years ago, but it took me a while to figure out how to use it appropriately. Now that I have been using it right...what a difference! I love it! What has your experience been with birding binoculars?